Get the coolest gadget Ever! I have seen so many people's QR codes and telling us to take pictures with our phone (or tablet) cameras of it then we can go to their site with one click! I was feeling like my camera was the most stupid of all smart phones because I was taking pictures and it was just going to my gallery. Then fortunately something inside me clicked. The part that wasn't said was that you needed to download a scanner on your device and I needed some sort of app to read the QR codes. 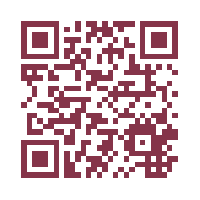 I have an android based phone and so I went into the market and downloaded a QR scanner. I went back to the website with the scanner app running, took a picture of the blogger's QR code, and it went to the URL! I then went to my own code, took a picture, and it brought me to my own website! It was amazing to see the technology at work! With the QR Scanner I downloaded, I can use it to go into my photo gallery and it will bring me to the page of the QR code I select! Do you have a QR Code? Do you think it has made a difference in your website traffic?